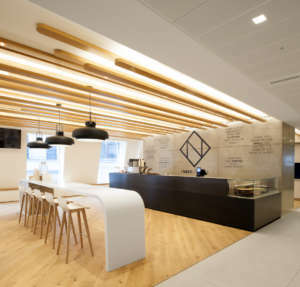 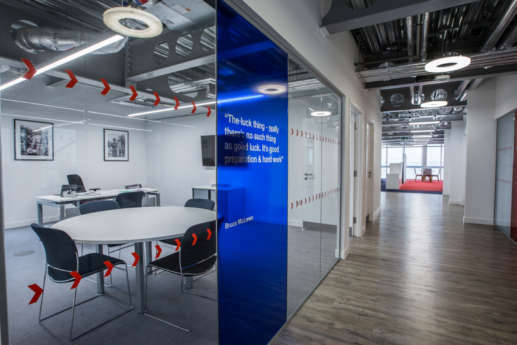 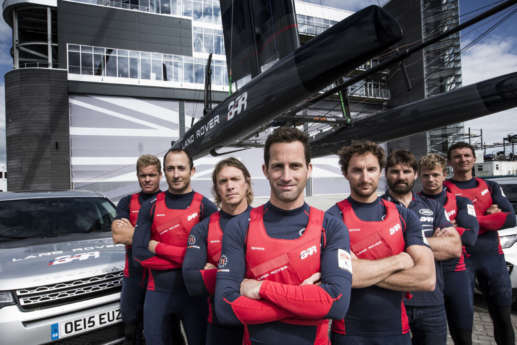 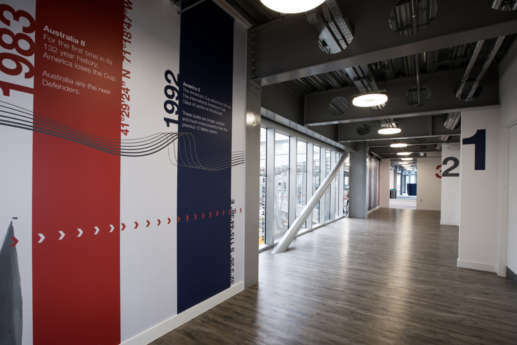 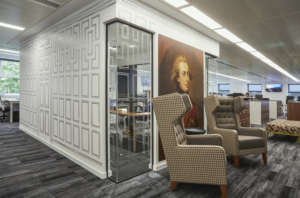 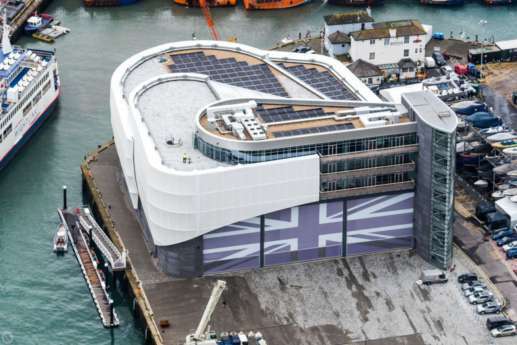 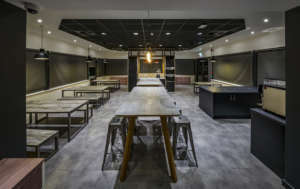 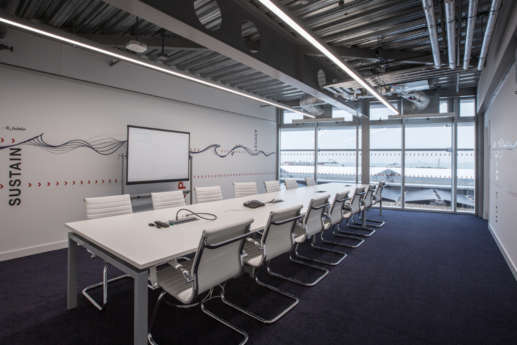 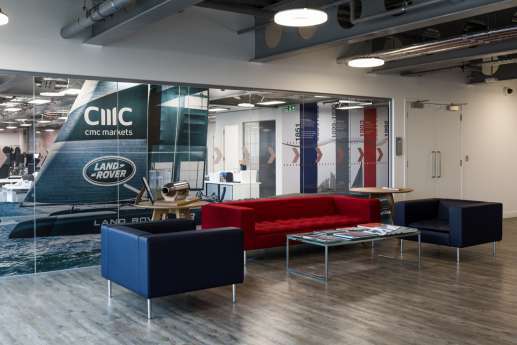 Overbury delivered the high-specification fit out for the new Portsmouth-based racing headquarters of Land Rover BAR, the British Challenger for the 35th America’s Cup. 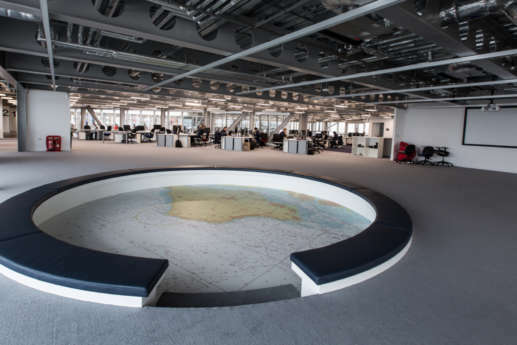 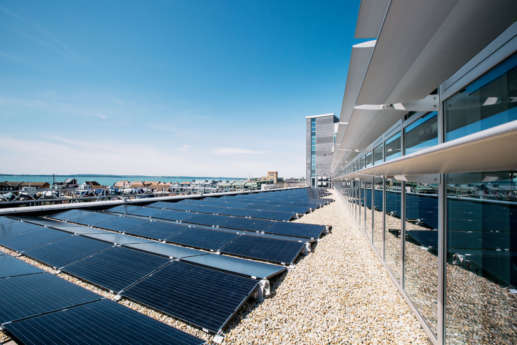 The completed headquarters of Land Rover BAR has set new benchmarks for sustainability, construction and innovation, bringing the entire project team together to deliver the space in only 12 months. 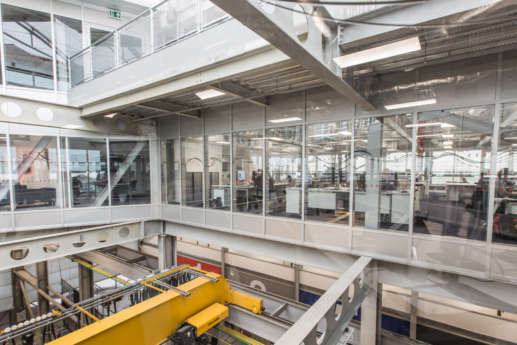 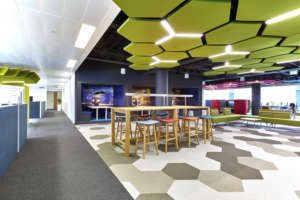 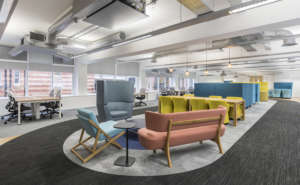 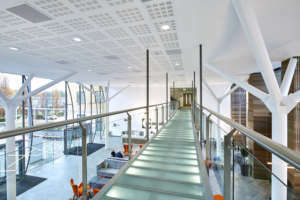 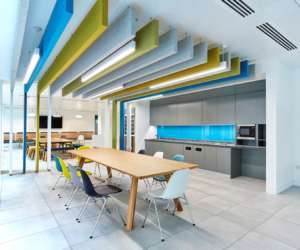 Securing planning permission, building the entire facility and then fitting out the 80,000 sq ft interior of the building was a collaborative effort that required close collaboration from all, with Overbury leading the fit out works as the main contractor. 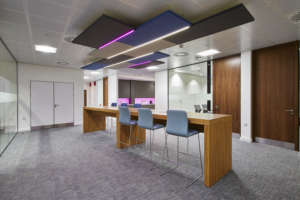 The fit out works included the installation of a bespoke athletes training gym and medical centre, kitchen, 30,000 sq ft open-plan office with fixed work stations, flexible break out area complete with AV capability for presentations, boardroom and meeting suites, as well as a 50,000 sq ft workshop on the ground floor for the construction and storage of racing yachts.